at 6:30 PM in the Veterans Building, James E. Ward Ag. Center, 945 East Baddour Parkway, Lebanon TN 37087. Our guest speaker is Barbara Oxley, a landscape designer, on landscaping with perennials, and in particular day lilies. The meal this month will be Breakfast for Dinner. from 12:30 to 4:30 PM in the Education Building, James E. Ward Ag. Center, 945 East Baddour Parkway, Lebanon TN 37087. 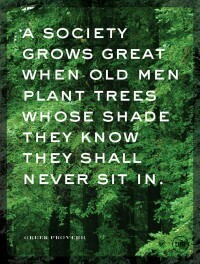 We will be assembling our second 100 garden kits, and will need all the eyes and hands we can muster. 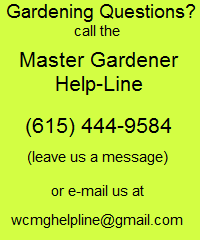 Come out to help us, get to know some of your fellow Master Gardeners, and earn volunteer hours in the process. at 6:30 PM in the School Exhibit Building, James E. Ward Ag. Center, 945 East Baddour Parkway, Lebanon TN 37087.
at 10:00 AM in the Town Hall Building, James E. Ward Ag. Center, 945 East Baddour Parkway, Lebanon TN 37087. Seating is limited so contact Marianne Pelletier at breezin1usa@yahoo.com to reserve your spot. From 9:00am – 4:00pm at the James E. Ward Ag. Center, 945 East Baddour Parkway, Lebanon TN 37087.
at 6:30 PM in the Education Building, James E. Ward Ag. Center, 945 East Baddour Parkway, Lebanon TN 37087. Our guest speaker will be Polly Rooker, certified naturalist, and she will teach us how to get our back yards certified as wildlife habitats. at 6:30 PM in the Education Building, James E. Ward Ag. Center, 945 East Baddour Parkway, Lebanon TN 37087. Our guest speaker will be Dr. Brian Robertson from the Biology Dept. at MTSU and he will discuss genetically modified flowers and crops. at James E. Ward Ag. Center, 945 East Baddour Parkway, Lebanon TN 37087. Intro. to Tennessee Master Gardener and Extension from 6:00 to 9:00 pm. at the Gladeville Community Center located at 95 McCreary Rd., Lebanon, 37090. Soils and Plant Nutrition from 6:00 to 9:00 pm. at the Gladeville Community Center located at 95 McCreary Rd., Lebanon, 37090. Botany and Seed Starting from 6:00 to 9:00 pm. at the Gladeville Community Center located at 95 McCreary Rd., Lebanon, 37090. Vegetable and Organic Gardening from 6:00 to 9:00 pm. at the Gladeville Community Center located at 95 McCreary Rd., Lebanon, 37090. Woody Ornamentals from 6:00 to 9:00 pm. at the Gladeville Community Center located at 95 McCreary Rd., Lebanon, 37090. Insects and Diseases from 6:00 to 9:00 pm. at the Gladeville Community Center located at 95 McCreary Rd., Lebanon, 37090. Fruits of the Backyard from 6:00 to 9:00 pm. at the Gladeville Community Center located at 95 McCreary Rd., Lebanon, 37090. Sustainable Gardening and Landscaping with Native Plants from 6:00 to 9:00 pm. at the Gladeville Community Center located at 95 McCreary Rd., Lebanon, 37090. Herbaceous Ornamentals and Landscape Design from 6:00 to 9:00 pm. at the Gladeville Community Center located at 95 McCreary Rd., Lebanon, 37090.
at 6:30 PM in the Education Building, James E. Ward Ag. Center, 945 East Baddour Parkway, Lebanon TN 37087. We will watch “A Year of Birds,” an excellent movie by NTOS member Dan Shelton and his daughter. at 6:30 PM in the School Exhibit Building, James E. Ward Ag. Center, 945 East Baddour Parkway, Lebanon TN 37087. This class will help you recognize some of our local trees -no previous tree knowledge needed. WCMG members and interns may earn 1 hour volunteer credit if you bring a non-member guest. Invasive Plants and Pesticide Safety from 6:00 to 9:00 pm. at the Gladeville Community Center located at 95 McCreary Rd., Lebanon, 37090. Backyard Wildlife Management from 6:00 to 9:00 pm. at the Gladeville Community Center located at 95 McCreary Rd., Lebanon, 37090. 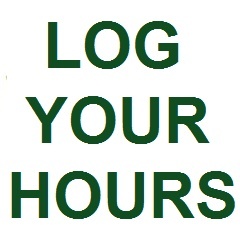 Course Wrap-up and Final Exam from 6:00 to 9:00 pm. at the Gladeville Community Center located at 95 McCreary Rd., Lebanon, 37090.
at 6:30 PM in the Education Building, James E. Ward Ag. Center, 945 East Baddour Parkway, Lebanon TN 37087.
at 10:00 AM in the Bernard School Exhibit Building at he James Ward Agricultural Center in Lebanon, TN. The workshop is free and the public is invited. at 6:30 PM at the Opry Stage in Fiddlers Grove, James E. Ward Ag. Center, 945 East Baddour Parkway, Lebanon TN 37087.